This marks the 10th anniversary of our columns on teachers.net. You know our style; we feature educators who are effective so our readers can “steal” from their effectiveness. Every month we write about a teacher, administrator, school, or school district. Please share with us your success, so we can continue to share with the profession. I began creating procedures so there was no room for confusion WHATSOEVER. I just ended my 3rd year and this is the first year I can honestly say I look forward to the next school year!! I've learned to organize myself. This year when my principal observed me for my formal evaluation, she commented how well it went and how much improvement I've made in terms of my classroom management skill and student scores. possible to even consider if I hadn't created and implemented my classroom management plan. in place, I can actually take the time not only to teach, but to get to know my students. Thanks for the peace I've been waiting for in the teaching profession! I even have time to stay up late on weekends getting lost in a good book or movie--which was once a rare, rare luxury. For more than 25 years, we have worked to help educators become more effective teachers. We have steered clear of fads, buzzword initiatives, and trendy programs and have based our work on the findings of Thomas Good and Jere Brophy from their book, Looking in Classrooms. First published in 1973, the book is now in its tenth edition and their findings remain the same. After almost four decades, the three most important characteristics of effective teachers remain the same. We are pleased to have in the t.net archives ninety-four articles featuring educators who have implemented the three characteristics of effective teaching. We hope that these past ten years of articles have inspired you to be a Difference Maker. We encourage you to take a look at the following summaries to find teachers, administrators, schools, and school districts that are doing truly exceptional work. Find one that speaks to you. And then, as all effective teachers do—STEAL, STEAL, STEAL!!! Key Idea: Start school with a First Day of School script. One teacher began his year with fun activities and spent the rest of the school year chasing after his classes. His first day lacked structure, which led to his students structuring his classes for him. Elementary school teacher, Melissa Pantoja, began the first day of school with a script, which led to a successful beginning. Her script is provided so you can adapt it for your classroom. Key Idea: Mentoring is not induction. Know the difference between mentoring and new teacher induction. Statistics say that teachers entering the profession right now will not be teaching in three to five years. In fact, many will not even last a year. To combat the high turnover rate of teachers, many schools and districts are turning to new teacher induction (not mentoring) programs to prepare teachers for success in the classroom. Examples of successful induction programs are provided. Review them and learn what to look for in your next school. Key Idea: Seven things students want to know. What you do the first day of school will determine your success for the rest of the school year. Discover the seven things all students want to know on their first day of school, and why a successful school year starts on the first day. You would not expect a truck driver to haul an expensive load without first making sure he knew how to drive the truck. Neither can you expect students to succeed if they do not know the routines and procedures of your class. The seven things all students want to know are provided so that you can use them to prepare for your first day of school. Key Idea: Manage, do not discipline, your classes. Learn how to manage, rather than discipline, your classroom. The former will enhance student learning, while the latter will wear you down. Rather than discipline your classes, manage them. Learn which procedures every class needs to have in place before students can start learning. Create or hone your procedures so this school year will be your best school year ever! Suggested procedures are outlined in this article. Copy and use them in your own classroom. Key Idea: Start your class with effective start-up routines. Start the day or period with an organized routine that includes bellwork and other procedures that get the students ready for the class. The first few minutes of every class are prime time, so what you do in those first few minutes determines how on-task your students will be for the rest of the period. Read about teachers and schools who have experienced success because of effective prime time practices. Use the prime time examples as a guide to create your own effective prime-time practices. Key Idea: The first five minutes are the most important. Make the first five minutes of your class count. Like the first chapter of a good novel, the beginning of class must capture students’ attention. Have your students working the minute they walk into class and you will have their attention for the rest of the period. Once you have achieved this, keeping them on-task is easy. Use the examples in this article to create your own bellwork and warm-up activities. Key Idea: Effective teachers show, not tell. When teachers tell us their discipline problems, we refer them to this article. Ineffective teachers want to “do things” (punish, discipline, send to detention, etc.) to students, whereas effective teachers know how to teach procedures. Rather than telling students what to do, show them how to do it. Effective teachers, like effective parents, show students what to do instead of telling and yelling. Even a student from a negative home environment will respond positively if teachers follow the steps shared for teaching procedures. Key Idea: Thanks for being a teacher. Learn what teachers have been doing right, and how they have improved the American education statistics exponentially in a few short years. Teachers are the most amazing professionals in the world and deserve to be thanked and to know that their accomplishments are shaping the nation and world for continued success. Take heart and encouragement from the stories of hope in this article. You, the teacher, are a miracle. Key Idea: Teachers impact students’ lives. This column is about the journey teachers make into the hearts of their students. What teachers do every day touches the lives of students in immeasurable ways. Teachers change lives, and the proof is in every student who has gone on to succeed. If you touch just one life as a teacher, you are a success. Learn how to invite students to learn by following the steps outlined in this article. Key Idea: Induction prepares teachers for success. Learn how induction programs teach new teachers to be successful. Start your career right in a district that values its teachers and provides a comprehensive and ongoing induction program for all teachers new to the district. Know the difference between mentoring programs and induction programs, and choose to teach in a district that has a solid, comprehensive program to help you develop in your chosen career. Key Idea: The ten questions to ask at your interview. Know the ten questions you should ask at your interview to ensure you choose the school and district that are right for you. After reading this article, you will be able to recognize the district you should teach in to maximize your potential. Your career depends on the decisions you make. Note the ten questions to ask and pose them in your next interview. Key Idea: Motivational activities capture students’ attention. Motivate and entice students with discrepant events. Then, learn how and why to continue the lesson with group collaboration. Students will remain motivated to take on whatever they are asked to do. Ideas for discrepant events in different subjects are provided in this article. Use them to capture your class’ attention and imagination. Key Idea: A good university will teach you how to be an effective teacher. Sarah Jones’ experiences at Western Kentucky University enabled her to begin her teaching career with the proficiency of a veteran teacher. Her success is due to diligent instruction in everything from lesson planning to effective classroom management practices. Before she ever set foot in a classroom, she had a comprehensive list of classroom procedures to develop responsible students. Steal and adapt Sarah’s action plan to meet the needs of your teaching environment. Key Idea: Effective teachers can implement what other effective teachers are doing. Become an effective teacher by thinking about what you learn, observing other teachers doing it, and adapting it to meet your unique classroom management needs. Steve Geiman, a Physical Education teacher in Virginia, thought about what Harry said at a conference and the wheels of his imagination began to spin. The result is an effective and efficient model of classroom management that has transformed his PE class. Steve’s procedures are outlined in this article. Steal, adapt, and implement his procedures in your class. Key Idea: Effective classroom management works in every situation. This column illustrates effective classroom management procedures in two very different environments: the library and an elementary art classroom. Betty Hamer and Jeanne Bayless guide their students to success with procedures that cut down on confusion and mistakes while allowing students to get down to the business of learning. Both teachers’ classroom management procedures are featured in this article for you to steal and adapt to your needs. Key Idea: A safe and productive school culture leads to an effective school. Transform your school into an effective school by creating a school culture that promotes a safe and productive learning environment from day one. Goldfarb Elementary in Las Vegas, Nevada, has such a culture. They developed and maintained a set of consistent, school-wide procedures that have become the foundation for the school’s culture. Create school-wide procedures using Goldfarb’s procedures as a guide and watch your school blossom into an effective learning environment. Key Idea: Become a stress-free teacher. Reduce your work-related stress by creating consistent procedures for all classroom activities and interactions. Liz Breaux’s structured approach to classroom management has guided students to success and has made her classroom virtually problem-free. Apply her techniques for stress-free teaching and begin your own path to a teaching career free from anxiety. MARCH 2002—Impossible, No Job Openings? Key Idea: Teacher induction means teacher retention. Learn how to retain your new teachers with a structured new teacher induction program that guides them through classroom management, instructional strategies, and more. Teach them the things they need to know to ensure success before they even step foot in a classroom. See the procedures that Medford’s new teachers have created and get inspiration for your own list of procedures. Key Idea: Good leaders are models of success. We have shared how teachers and principals create and maintain effective schools. In this article we show you that superintendents do it, too. Sunnybrook School District #171, under the guidance of Dr. Joseph Majchrowicz, has developed an effective, district-wide culture based on core values agreed upon by all the members in the learning community. The district-wide set of procedures established by Sunnybrook’s learning community, as well as their four core values, are showcased in this column. Review this article to select elements of effective teaching to implement in your school or classroom. Key Idea: Evidence supports new teacher induction programs. The costs of having an effective new teacher induction program are small in comparison to the cost of losing newly hired teachers. Use the information in this article to guide you as you build an effective induction program for your new teachers. Or use the information within this article to guide your quest for the perfect school or district in which to begin, or continue, your teaching career. Key Idea: Procedures start on day one. Teach your students procedures from day one. Establishing procedures—beginning with the first day of school—will set you up for a smooth-sailing school year. Use the First Day of School Script shared in this article to develop or hone your own First Day of School Script. Key Idea: Start your first day of school with an action plan. Sarah Jones began planning her action plan, procedures, and activities long before she ever set foot in a classroom—and it paid off. Use the sample Action Plan to guide you in creating your own First Day of School Action Plan and the Academic Expectations templates to guide you in creating your statement of academic expectations. Key Idea: Effective procedures make activities effortless. Using procedures will make any classroom activity go off without a hitch and will guarantee that all your supplies are accounted for at the end of the activity. Imagine a school year in which no supplies are lost and activities take place without a single discipline problem. Use the time-tested methods contained in this article for dispensing and collecting materials and never again lose another ruler! Key Idea: Effective practices work in all classes. Effective classroom practices apply to all teachers—even foreign language teachers. Effective teachers can adapt the techniques in The First Days of School to any classroom environment and any subject matter—even high school Spanish. Review examples of foreign language teachers’ procedures, from what to do before class starts to procedures for traveling teachers. Reflect on what you have learned and then adapt your favorite procedures to implement in your classroom. Key Idea: Learn how to manage your non-traditional classroom. Imagine standing in front of 500 teenagers, raising a hand, and having the entire class of 500 grow quiet in a matter of seconds. It is possible. These results are just a matter of establishing procedures and practicing them with students until they become routine. This article examines the success of teachers in non-traditional classrooms and illustrates how even the largest class can be a well-oiled learning machine. Key Idea: Students remember effective procedures. School-wide procedures can make a school run smoothly even after a devastating act of nature has shaken the community. Imagine a hurricane tearing through your community and school, and leaving in its wake devastation and despair. Now imagine the students returning to school, shaken but finding a classroom ready for learning. This is not a fluke. It is a result of consistent and practiced school-wide procedures. Key Idea: Share your business cards with us. Professional educators are invited to share their business cards with us. An update on the December 2002 article featuring Sacred Heart Elementary (the school that survived Hurricane Lili) is included in this month’s column. If you did not take some of Sacred Heart’s school-wide procedures as your own last month, take the opportunity to adopt them today. Key Idea: Teacher induction is a multi-year commitment. Retain new teachers by implementing a new teacher induction program. Induction is a multi-year investment in your new teachers’ career, and in your school's or district’s ability to retain top talent. Induction is a process that includes a variety of career building activities, from courses in classroom management practices to how to integrate effective strategies within a lesson plan. Learn the components of a successful induction program and read examples of three commendable programs. Model your approach after these fine examples and watch as your retention rates rise to unprecedented levels. Key Idea: First Day of School Scripts work. Here’s further proof that First Day Scripts put teachers on the road to success. This article shares Melissa Pantoja’s Daily Class Routine for the Substitute and John Schmidt’s First Day Script, Procedures, and Class Policies. Use these exceptional works to guide your creation of a First Day Script, as well as to develop procedures that will guide your class to success from day one. Key Idea: Effective substitutes employ effective practices. Prepare in advance for your next substitute teaching adventure. Learn how to create a Sub Pack, including what materials it should include and why. Print a copy of the Professional Substitute Teachers’ Checklist and use it to organize your daily routine and prepare for your next subbing job. Peruse the many helpful substitute teacher links we’ve gathered and glean many more helpful tips from them. Key Idea: Learn the actions that guarantee a successful interview. There are two critical questions you should ask at your interview. In this article, we discuss the first question, “Does your district have a new teacher induction program?” Review the tips contained in this article as you prepare for your teaching interview and get ready to wow your interviewer. Key Idea: Look for a district with a curriculum and standards guides. This article discusses the second question all teachers should ask when they interview for a position: “Does the district have a curriculum guide that is aligned to state standards?” Understanding the state standards and implementing them in a classroom is hard enough, but to do so without a curriculum guide is suicide. Be sure that the school you choose has a set curriculum for each grade and that the curriculum is aligned with the state standards. As a bonus, included are end-of-the-year procedures. Use them to guide you toward a stress-free summer vacation and new school year. Key Idea: Creating effective lesson plans. Discover how to begin lesson planning when there is no curriculum guide to steer you. Many districts do not have curriculum guides and most teachers do not leave behind collections of curriculum and activities to assist a beginning teacher. Follow the Steps to Creating an Effective Assignment and begin your lesson planning with confidence. Key Idea: Get out of survival mode. This article explores the realities of survival mode and explains how to move beyond survival to mastery. If you are in survival mode, you must read this article. It contains advice that will help you to become the teacher you always dreamed you would be. The article also contains an innovative adaptation of the Tote Tray System. We invite you to explore and adapt this method for use in your own classroom. Key Idea: Classroom management helps in the diverse classroom. This article features the classroom management plan of Nathan Gibbs, whose class is a well-oiled learning machine. Consistent classroom management will make even the most behaviorally challenged children take note and perform their best. Adapt the procedures you find in this article to meet the needs of your learning community. Key Idea: Respond to complaints the right way. This article highlights the proper response to complaints and presents further examples of Nathan Gibbs’ procedures that you can modify for use in your classroom. In every group, there will be at least one person who complains; this includes any given group of students. We share insight into how to deal with complaints without becoming upset, and how to promote critical thinking and problem-solving skills at the same time. Try the complaint procedure, and see how it changes the dynamics in your classroom. Key Idea: Effective classroom management is universal. Classroom management procedures are universal and can be used to create a successful learning environment from Pre-K to Technical College and beyond. The career-changing management and teaching strategies of Jeff Smith are featured. His is a story of both teacher and student success. Key Idea: Provide students with an agenda. After teaching for over ten years, Carol Brooks, a middle school teacher in South Carolina, came up with a solution to the problem of student organization. In time, her classes of under-achieving students were doing so well that the parents (who didn’t even know what she was doing) were clamoring, “Get my kid into that notebook class!” Carol’s one-page agenda is shared. Key Idea: Be prepared for an emergency. Heather Chambers, who teaches kindergarten in Denton, Texas, had a diabetic seizure and collapsed in class. Because of her health condition, Chambers had developed a simple but highly effective procedure for her class, so they would know what to do in case she had a seizure. Indeed, because her class knew the procedure, they saved her life. Key Idea: The need for structure is vital in the special education classroom. The demands on the teachers of special education students are enormous. The work is emotionally and physically draining, the stress is considerable, and the magnitude of the workload is colossal. Robin Zarzour (now Robin Barlak) works with children with a variety of disabilities—autism, speech and language delays, ADHD, severe behavior issues, and physical and developmental handicaps. Read about the remarkable work she does with her students. Key Idea: Present procedures in PowerPoint. Some teachers duplicate pages and distribute them to students. Some teachers make charts and attach them to walls. Some teachers make overlays and display them with a projector. Kazim Cicek in Tulsa, Oklahoma, communicates his classroom management procedures to his classes with a PowerPoint presentation. Key Idea: It’s all in how you begin. Jane Slovenske’s success with her students begins on the very first day of school. She spends the first ten days of school teaching and reinforcing the behaviors and standards her students will need to succeed in her classroom. Jane shares her lesson plans in this column. Key Idea: A great school year stems from a great start. The first day of school finally arrived. Her lesson plans were ready. The desks were in order. Her PowerPoint presentation was ready to go. First-year teacher Chelonnda Seroyer had not even entered the classroom. The first minute of her first year as a new teacher had not begun. Standing at the door dressed in a suit, she was greeting her students when she had an eerie feeling. She turned to look in her classroom and saw that her students had already started working on the assignment. Yes! She was now confident that this was going to be a good day. It turned out to be a great year. Learn what she did in this article. Key Idea: Never, ever, give up. Ed Lucero was miserable. He was seriously considering leaving the teaching profession. He decided to give it one more try, but knew he had to make some radical changes. He restructured his classes to be more business-like. This corresponded with the classes he was teaching: Business, Marketing, and Finance. It worked and now he loves teaching again. Key Idea: Effective teachers go to conventions to learn. Never, ever cease to learn. Go to at least one conference a year. This column explains how conferences are structured and how you can reap the greatest rewards from your attendance. 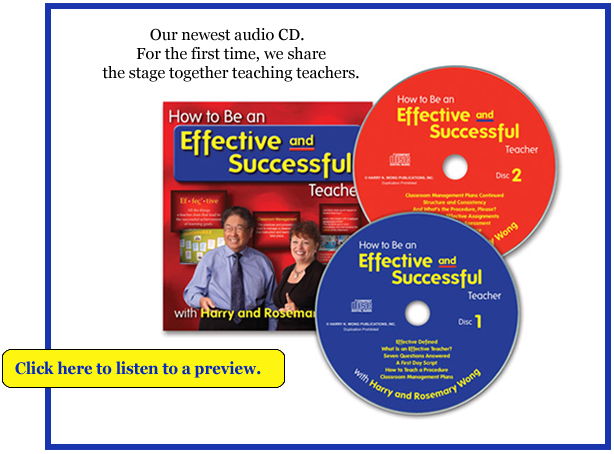 Go and listen to the ideas and insights of successful teachers. They are all participating, contributing, and doing. No one is complaining. It is heartwarming and contagious. You return to school fully charged with a positive attitude and proud that you are a teacher. Key Idea: It’s the teacher that makes the difference. It’s the teacher—what the teacher knows and what the teacher does in the classroom—that results in student learning. Improving student achievement is very simple. It boils down to the teacher and how the teacher instructs. When teacher instruction is effective, you will see improved student learning. In fact, the most effective teachers produce as much as six times the learning gains as the least effective teachers. Key Idea: It’s the teacher that results in student success. It is the teacher who holds the key to student achievement. And, it is the district that holds the key to the lifelong professional development of teachers. Everything the district does should focus on student learning. And training teachers to be the best must become the priority for a district, especially if we believe that students deserve the very best teacher—every year. Key Idea: Create morning routines. A high performing school has a culture of consistency that must be established the first day and first week of school. See how an elementary school establishes a culture of consistency every morning with a morning routine at the playground. They do this with a staff that works together in a professional learning community. Key Idea: It’s all in how you start. On the first day of school, Elise brought in a roll of toilet paper for a fun activity. She left teaching after two days. Sarah Jondahl came to school on the first day with a binder complete with a management plan. Today, Sarah is an accomplished fifth-year teacher. Sarah’s classroom management action plan is featured in our eLearning course offered at www.ClassroomManagement.com. Key Idea: Learn the difference between management and discipline. Ineffective teachers discipline their classes with rules and punishments. Effective teachers manage their classrooms with procedures and routines and experience the joy of a productive working environment. It’s never too late to implement classroom management techniques in your classroom. Alternative certification teacher Diana Greenhouse shares how she has set up her classroom for student success. Key Idea: Experience the trials of a first-year teacher. Without certification or training, “emergency teacher” Christina Asquith is hired on the spot and assigned to a classroom that few veteran teachers would take—sixth grade in the city’s oldest school building, in a crime-infested neighborhood known as The Badlands. Christina asks the two classic questions: Why are American inner-city public schools failing? And can one young, motivated person make a difference? Her story reminds us all to stay steadfast to our dreams of helping children. Key Idea: Lessons learned from Rosa Parks. Effective teachers know that the rewards go only to the professionals. They are the happiest, make the most money, get the most respect, and are the most successful. Professionals have arrived at this happy state in life because they build on strengths, not on weaknesses. The professional educator chooses to always learn and grow. The professional educator is on an endless journey—looking for new and better ideas, new information, and improved skills to further student success. Key Idea: Meet three special ed teachers. The demands on the teachers of special education students are enormous, but the rewards are equally huge. These are the wonderful teachers who have the skill to bring order and structure to the lives of their students, as well as kind and understanding hearts that are able to see all children as capable and worthy. In this column, we revisit Robin Zarzour (Barlak) and meet two other special education teachers: Charlotte Empringham of Canada and Dan Seufert of North Carolina. Key Idea: Standards and objectives are needed for high school students. Many teachers begin teaching without a clear lesson plan format or an operational curriculum. Even fewer receive curricula that are aligned with state standards. Norm Dannen is presently enrolled in New Pathways to Teaching, an alternative route program to teaching in New Jersey. They give their teachers-in-training a template to use as a lesson plan format. Norm created a 15-day unit to have students interpret The Great Gatsby artistically, thematically, and historically. He shares his rubric with you in this article. Key Idea: Create a classroom community. Effective teachers first have a plan to prevent problems and then they proactively work the plan. Barbara De Santis is ready and organized from the first day of school. She has a Classroom Management Plan. She builds a Classroom Community by teaching her students to respect and celebrate the success of others. Learn more about Barbara’s plan and why thinking like Gumby, Darwin, and Disney helps her. Key Idea: Use of a personal responsibility card. Two effective teachers, Chelonnda Seroyer and Barbara De Santis, share how they use Pink Slips to improve homework turn-in rates. Find out who they “stole” the idea from and how they each made it their own. Plus, tips on how to improve your homework turn-in rate and a few procedures for orchestrating homework for maximum effectiveness. Key Idea: Give students a scoring guide. The role of the teacher is not to grade a student. The teacher’s main role is to help every student reach the highest possible level of achievement. The purpose of a test is to assess what the student has learned so that further learning can be planned. Read how Norm Damen’s rubric helps to engage his students while assessing what they have learned. The tone of your classroom will change when the students see that you are there to help them progress through the year. Key Idea: Steps to writing a rubric. Give students a rubric before each assignment. Structure each lesson so that the students know beforehand what they are to accomplish. Decide which factors you are looking for as this will tell you if students have learned what you want them to learn. Oretha Ferguson’s Prose and Poetry Rubric is shared for you to use as a model. Her success goes way beyond a single lesson as her classroom is structured and organized from day one. Key Idea: Rubrics apply to all grade levels. Two college professors use rubrics to train future teachers. Dr. Lena Nuccio-Lee found herself teaching an online class for the first time after Hurricane Katrina left her without a classroom and without the majority of her teaching materials. She used rubrics to make her course a success. Carla Boone uses rubrics to guide and grade the results of her course for new teachers at the College of Mainland, Texas. Learn about the success that follows from using rubrics from these effective teachers. Key Idea: How to construct your own rubric. Kathy Monroe uses a picture rubric to vividly show her students how their work will be evaluated. Karen Rogers uses short and simple rubrics to guide her science students. Diana Greenhouse created a rubric using a teacher tool called RubiStar. All of their rubrics have three parts, involve students in the assignments, and help assess what the students have learned. Review their rubrics and create your own to foster student and teacher success. Key Idea: Observe, reinvent, and implement procedures. Stacey Allred is a special education teacher who knows that classroom management is applicable to all teachers—regardless of grade level or setting. The key to becoming a successful classroom manager is to observe procedures practiced by other effective teachers. Then reinvent their procedures to meet your classroom needs. Finally, you must practice your procedures with your class. Specific examples from various effective classroom managers are shared. Key Idea: Generation Y and how to have a successful induction program for them. There is a new generation entering the teaching profession. The Millennials are a generation poised to be lifelong learners and collaborators. They are team-based learners and thrive on collaboration. To meet the needs of this new generation entering the profession, induction programs focus on a group approach. Learn from Dr. Linda Lippman and others about their successful programs for the Millennial teacher. Key Idea: Gain happiness from continuous growth. 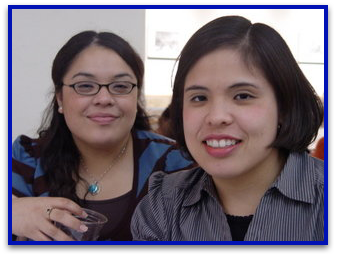 Melissa Boone-Hand was Melissa Pantoja when we wrote about her in our first Teachers.net article in June 2000. We know that 50% of new teachers drop out of teaching within their first five years on the job. Melissa is not one of those statistics. What Melissa did in her first year of teaching, on her very first day, may be a clue to ensuring the future success of beginning teachers. Melissa Boone-Hand’s career success and happiness are a result of her continuous education, involvement in various organizations, and constant growth—and it all began with her First Day of School Script. AUGUST 2007—First Day of School Script—in Spanish, Too! Key Idea: Plan for student success. Your foremost responsibility as a teacher is to create a classroom that is organized so that the maximum number of classroom minutes can be spent on instruction and learning. Elmo Sanchez and Angelica Guerra are two teachers who reclaimed their classrooms by using First Day of School Scripts. View their PowerPoint presentations (one of them in Spanish) and find out how their scripts transformed their teaching experiences. Key Idea: Consistency is the determiner of success in your classroom. The most important factor to establish in the first week of school is consistency. You set your students up for success when they know what to expect and how your class is run. The ten tools in this article will ensure a positive learning experience for both your students and yourself. Key Idea: Have your students help develop rubrics. By having a hand in creating their scoring guides, your students will see the value of using rubrics to assess their work. Scoring guides can be used to assess any kind of assignment, including the growing trend of multimedia assignments. Norm Dannen started using scoring guides in his very first year of teaching. Read about Norm’s success and view his rubrics. Key Idea: Be organized—very organized. Diane Blocker and Tobias Larson are effective migrant teachers who are extremely organized. They have all of their classroom materials on hand at every moment. This article contains tips to help you succeed as a floating teacher or as a teacher in a self-contained classroom. DECEMBER 2007/January 2008—Wrapping the Year with Rap! Key Idea: Get creative with your lessons. Alex Kajitani uses rap, not only to teach math concepts, but also to teach procedures. He connects with his students through an innovative method of teaching, which also helps to increase the scores of his “at-promise” students. Find out how he came up with his alter ego, “The Rappin’ Mathematician,” and the difference his approach made in his classroom. Listen to some of his raps, too! Key Idea: Mentors have roles; coaches have responsibilities. Hopewell City Schools in Virginia has a formula for new teacher success. They know that one-on-one mentoring does not improve student learning. Instead, new teachers are given a full complement of activities and access to skilled coaches to help them become proficient and effective. Learn how Hopewell ensures the success of each of their new teachers. Key Idea: Academic coaches are important to school and teacher improvement. Angie Cook and Vallorie Borchardt are two academic coaches who have helped their teachers, students, and schools improve. Coaching assistance is sustained and job-embedded, and the transfer and implementation of new skills is immediate. Read about how the gains from coaching are six times more than the gains from spending money on class-size reduction. Key Idea: Use professional learning communities. L.C. Kennedy School in Arizona, has created a learning community of teachers that tackle problems and issues. The teachers work as a team, with student success at the forefront of every meeting and conversation. Learn how two grade level teams developed a common goal, as well as the steps they took to achieve success. Key Idea: Structure your classroom for success. Bernie Alidor found procedures provided him with the structure he needed to work with his ADHD. He now provides his kindergarten students with a safe, inviting, and comfortable environment through the use of procedures and routines. See how he provides his students with consistency, and nurtures in them a “can do” attitude. Key Idea: Effective teachers adapt, not adopt. Adopting means you want someone to tell you what to do. Adapting means you implement someone else’s work—regardless of their grade level, subject matter, or even professional field—molding it for use in your unique classroom situation. Effective teachers are also proactive. They prevent problems from occurring in the classroom, rather than react to problems. They do this by implementing a well-considered classroom management plan. Key Idea: Whoever is doing all the work, is doing all the learning. When you walk into a classroom, what do you see? Is the teacher doing all the work—lecturing, demonstrating, and rushing back and forth? If so, the person doing the most work is the teacher. Encourage your students to be responsible for their own learning by setting a class goal. When students tutor each other, working to help each other toward a common goal, they learn more. Key Idea: Together, we learn. The Boaz philosophy states, “We can do something to help every child succeed.”Their schools are all ranked in the top ten percent of the state. They are able to accomplish this with mutual cooperation, emotional support, and personal growth. There is an on-site instructional coach in each school to help lead the professional development process. Learn how your school can commit to improving the learning process for teachers and students. Key Idea: The group always accomplishes more than the individual. Isolation is the enemy of improvement. In low performing schools, teachers are less likely to collaborate with and learn from one another. Whereas in high performing schools, teachers will share with one another the needed knowledge and skills to help their students attain greater academic heights. Read this article to learn how to go about creating a professional learning community in your school, as well as to see examples of teacher coaching and teacher collaboration. Key Idea: Structure translates to success. Nile Wilson was hired as the new Director of Orchestras for John Paul Stevens High School in San Antonio, Texas. She started her very first day armed with a thick handbook of classroom procedures. Students and parents were initially skeptical of her methods, but grew to appreciate the structure and organization of her class. Subs love her. “My students run the show and all the subs have to do is supervise. I’m proud of my students for being productive and staying on-task, even when I’m not around!” Nile shares the orchestra handbook she uses for her effective classroom management and improvement of her students’ skills. Key Idea: Teach the teachers well and they will teach the students well. Prairie Rose in Alberta, Canada, is a highly effective school district with a professional development program to continually upgrade the effectiveness of their teachers. Entire staffs take our online Classroom Management course together and wind up teaching and reinforcing the same, school-wide procedures and routines. Tips are shared on how to replicate Prairie Rose’s success, as well as links to its induction program and the induction programs of seven other school districts. Key Idea: Assessment for learning sets students up for success. Brad Volkman does something unusual—almost unheard of—in his class. He guarantees his students if they work with him and follow his system of practice and self-assessment, they will not fail his course, no matter how bad they think they are at math. And every single one of them pass his class! The one simple sentence that Brad uses in assessing his students is shared. Key Idea: If everyone knows what to do, they will do it. We introduce you to four visionary educators who all subscribe to the same mantra, “If everyone knows what to do, they will do it!” These educators have seen the benefits of having successful teachers and know how to achieve a school and district-wide culture of success. The components of success are well documented. And it has nothing to do with programs, money, secrets, or luck. Four education leaders share how they do it! Key Idea: Successful schools wisely invest in the effectiveness of their teachers. The better the teachers instruct, the more the students will learn. Studies cited consistently state, the more effective the teacher, the more the students will learn. Good teaching matters for student achievement more than any other single education resource. We also know that the first group to benefit from an increase in teacher effectiveness are the lower-achieving students. Money well spent on processes that improve the capabilities of the teachers yields the greatest benefit for the students. Key Idea: Effective teachers are unique. They do not limit themselves to doing the same things, thinking the same ways, or behaving just like everyone else. Alex Kajitani, 2009 National Teacher of the Year Award finalist, has a unique ability to connect with his students, especially those who have all but given up on school. Lowell Leffler, Deputy Superintendent of the Prairie Rose School District, has developed a unique and effective three year induction program. Successful teachers like these are always on the lookout for good ideas they can adopt and adapt for the unique needs of their specific classroom. Key Idea: Be a Difference Maker. Just like Melissa Dunbar, she is not satisfied with anything less than a 100% success rate in her students. Melissa chooses to be a “Difference Maker.” This means she continually goes above and beyond, working with her fellow teachers, and supporting her students in all aspects of life. She is always on the lookout for new ways to raise student achievement, create a better classroom environment, and be a more efficient and effective teacher. Key Idea: Positive expectations can change lives. Ruby Hernandez was born into a migrant family. She spent her entire education fighting low expectations. Now as a teacher, she works to empower her students. Ruby stresses the importance of collaboration between the teacher, the student, and the parents. She is a strong advocate for including a child in decisions made in the classroom. She believes students should know that no matter what, you will always be on their side. Key Idea: Address is not a factor in student achievement. Demographics and culture are not an excuse for poor student achievement. Research shows that how a teacher instructs is 15 to 20 times more influential in student success than family background, income, race, or gender. Marcos Campos knows this. He uses procedures, collaboration, and motivation to gain a 100% pass rate in his classroom. Make a conscious decision to be positive and set high expectations for both your students and yourself. Every child is capable of success. Key Idea: Consistency and structure equal student success and achievement. Griselda Almonte uses rules, procedures, and routines to achieve a high success rate in a struggling, state controlled school. She calls it her “Stress Free System” because when everybody knows what to do, nobody gets stressed out. She emphasizes that classroom procedures benefit everyone, not just the teacher. If you are a proactive teacher, and not a reactive one, demographics and school situation don’t matter. You, too, can be an effective teacher. Key Idea: A First Day of School Script leads to a successful year. First year teachers Sarah Ragan and Stacey Greene rave about the ease their First Day of School Script gave them. And after a rough start to the year, Nick Saadipour went back and wrote a First Day Script when he realized he had introduced his procedures, but had failed to rehearse and reinforce them. After reintroducing his procedures, he was sure to model each one, discuss the purpose of it, and rehearse it with the class. The rest of the year was a huge success. Key Idea: Stealing ideas is the mark of a truly effective teacher. EPI is an Alternate Certification Program for people looking to transition into teaching. They embrace the “beg, borrow, and steal” mentality. Each month they hold a Fill Your Toolbox activity night to share ideas and things that work. Ninth-grade teacher George Bartuska’s first year was a disorganized mess. But after a workshop where he was able to steal procedures from other teachers, he went back his second year prepared. By introducing his procedures on day one, George was able to successfully introduce his curriculum the rest of the year. Key Idea: A few simple changes can make all the difference. Jessica Fenton had a difficult first semester of school. Then she discovered that a few simple steps could change everything. She set up classroom procedures and routines, being sure to follow through with how she implemented them. By setting expectations of herself and her students up front, Jessica paved the way to a successful rest of the year. Key Idea: Teacher induction is necessary to create effective teachers. To simply give a new teacher a mentor will not produce an effective teacher. Teachers must be trained in a well-organized program, with varied activities, and instructors with defined responsibilities. This article shows one example of a top notch induction program. The Flowing Wells School District has an exemplary eight year induction process. They know that effective teachers produce student success. And proper induction produces effective teachers. Key Idea: A successful school has a Culture of Consistency. A school must have a set of schoolwide procedures that are constant from classroom to classroom. This way, everyone knows what to do, what is happening, and what to expect. At Elite Scholars Academy, Graysen Walles has created a culture of consistency. He set up teams of teachers to share ideas, plan lessons, and tackle problems as a unit. Teamwork, consistency, and procedures have led to an extremely successful and smooth first year for the school. States and school districts face severe funding cuts. Budgets barely have the money to pay the electrical bill—and professional development is out of the question. But that does not stop you from becoming more effective each year. You don’t need costly in-service speakers to tell you what you need to be doing in your classroom. This archive of columns contains countless examples of effective practices at all grade levels covering a gamut of experiences. The access to these columns is free and the information they contain is priceless. Teachers.net is the best bargain this summer for your professional development. Do what Angela did—Steal from these effective teachers to become an even more effective teacher and happier teacher for your students next school year.